in music right now because there is this lack of energy and fun Pop. I am writing about modern Pop tomorrow and how the scene has changed. I have written about this before but I think it is worth repeating. Every year that goes past seems to see a departure from the more buoyant and catchy Pop music to something more processed and similar. There are some great Pop artists now but I tend to find the music being produced is a little too machine-fed and lacks the real heart and bang of past years. I do wonder whether we can return to that time when mainstream music was filled with something interesting and spirited. Look out at the scene now and I do not see the same sort of music as I did when I was young. I guess that is the way things go but this does not mean everything in modern music lacks determination, crackle and effervescence. Look away from Pop itself and you’ll find plenty of artists who write music that gets you uplifted and in a better mood. I think there is a need to bring more kick to the forefront but, for now, the most fun and inspiring music is coming away from the mainstream. I am listening back to more and more older music because I know it can produce the happiness I require. There is, in fact, a song I am trying to think of that was released in the late-1980s/1990s and it has been rattling around my head. I can recall a few of the notes and sounds but the damned thing will not come to me! I am sure it will reveal itself but the fact the song is in my mind is down to the fact it is so fun and energised. I often scout Spotify for music I remember and know will put me in finer spirits. As life gets harder and there are bad days, music is doing its part and making a huge impact. I am turning to it a lot and it is doing much more than I could possibly imagine. Some of the music is from now but most of it is from the past. I think the real power and potential of music is overlooked. A lot of times we hear these familiar songs and they make us smile. We will have a sing and chant along and we all feel better. Without thinking about it, we gravitate towards music and do not really consider why. I know music I listen to will make me feel better but it goes much deeper than that. In other pieces, I have talked about music being therapeutic and helping those with memory issues. There are a lot of generic playlists on streaming services that are designed to make us feel better or cure the Monday blues. They are great and help alleviate the strain but we often listen and then forget about the songs. Music can be this very powerful tool that helps us through heartbreak or makes us think of someone. I feel, as we all lead busier lives and there is a mental-health problem, music has a huge role to play. I love music for a number of different reasons but it is the way it can put me in a better headspace and improve my mood that amazes me. I listen to a lot of 1980s and 1990s music and do wonder whether artists now need to look back and realise why songs from then are still popular. I am not suggesting music can replace therapy and medication but think about the burst of life and radiance you get from particular songs. Music does not necessarily have to be happy and peppy to make us feel better or get into the mind. Songs that are more emotive can help us unburden ourselves and they sort of strike a chord. I guess so many modern artists write in a slightly more downbeat way is because they are trying to relate to the listener and, in turn, there is that sense of connection. Whether you gravitate towards a more emotive song or prefer tracks that are kicking and alive, music has this extraordinary ability. I find music not only helps my psychological state but it can help me physically. A lot of times I experience aches and tiredness and a well-selected group of songs can ease the stress and pains and bring me back to life. Maybe there is something general about the mood of the song or it might be connected to nostalgia but I know music can do something other people and things can’t. That tie to childhood might be a reason why I can often transport myself to another place. Music is subjective but we all have these songs that remind of us better times. Whether that is school days or memorable moments, we can play this music and instantly have all the worries melt away. That sort of relief and release does not instantly go away. Maybe music is not as effective as, well, genuine happiness but it is a very potent and striking remedy. It makes me wonder why more radio stations do not promote more high-energy sounds and those designed to put people in a finer mood. I think there is this dependence on music that is more synthetic or moody; artists that are interesting but do not write to make people feel happy. 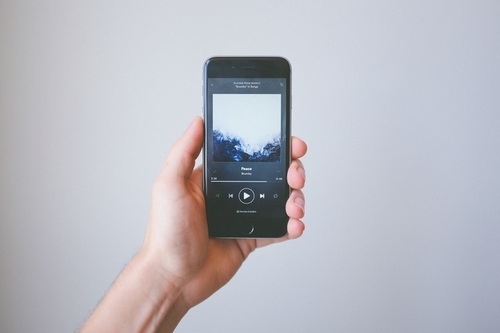 Streaming services can do their part and ensure listeners are exposed to upbeat music. I know they have to promote new acts and there are playlists around but there is so much wonderful music that can make us all feel revived and delighted. I know I can feel bad and like everything is a bit hopeless and then play music and feel so much better. Some of it is down to memories flooding back and the rest is that combination of pure sounds and positive messages. It is important music is broad and we promote everything but so much of the biggest sounds and move-improving gems are left aside and not bring put out there.